Do microtransactions have a future in the game industry? Several years ago, it seemed like microtransactions would be the answer to rising development and publishing costs, providing developers with financial freedom to continue supporting a game with added content and players reassurance that their investment wouldn’t go to waste. But fast forward to today, and it still doesn’t seem like developers have found the right recipe to implement microtransactions into video games. In this article, we’ll take a look at some of the worst examples of microtransactions in video games. The Elder Scrolls IV: Oblivion might not have been the first game to implement microtransactions, but it certainly was one of the first to receive so much backlash. 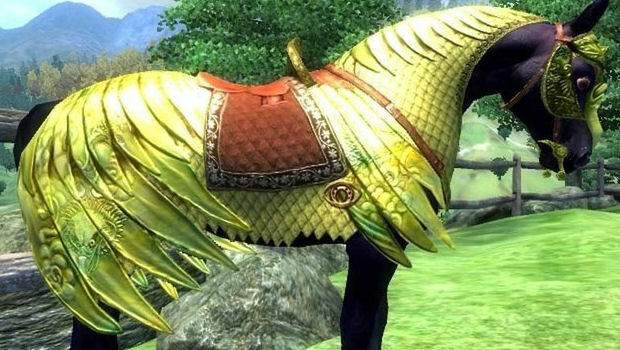 The “Horse Armor” DLC was released on April 3, 2006, for $2.50. The DLC allowed the player to visit an orc who would give the player a set of horse armor for free, while other sets could be purchased for 500 gold. The backlash was quick and relentless with gamers taking to social media to express their displeasure over Bethesda charging real money for useless in-game items. Today, it’s remembered as a hilariously embarrassing moment. Evolve launched in 2015 with a lot of hype behind it. While it was a risky move on 2K’s part to release an online game with no single-player mode, that would ultimately not be the worst mistake the publisher made with the game. Like many games of the time, Evolve released with day-one microtransactions. Normally, people are fine with that, except all the locked content can be purchased with real money and give players an unfair advantage. 2K did just that, charging over $130 to unlock all the content, which sealed the game’s disappointing fate before it had a chance. EA has found itself in some hot water with how it implemented loot boxes in its highly acclaimed multiplayer shooter Star Wars Battlefront II. Instead of opting for a loot box system like in Overwatch, where players spend real money to unlock virtual cosmetic items, EA’s plans were to allow players to purchase weapons and upgrades that would give players a huge advantage over their competition. Its community outraged over the idea, and EA had to reverse course before the game launched. This situation, among others, is partly the reason why there’s now political pressure in the US to ban the sale of video games with “gambling-like mechanisms” to people under 21 years old. The ESRB announced recently that it will soon begin labeling games that contain microtransactions to ensure people, especially parents, are aware of games that could encourage their children to purchase in-game items for real money. Of course, gambling and sports has been around for many years, and today there are dozens of online sports betting sites, so it should be of no surprise that publishers are finding ways to insert microtransactions into sports games. One such game is the recently released, FIFA Ultimate Team, which allows players to purchase card packs for real money to unlock virtual football players that would have previously been locked away. This is another example of a publisher giving unfair advantages, also known as “pay to win,” to players who are willing to fork over the cash. Time will tell what the future of microtransactions will be in the video game industry, but one thing that’s certain is that developers and publishers haven’t found the correct recipe. Their implementation will need to continue to evolve and be more consumer friendly before they achieve the success publishers hope for.